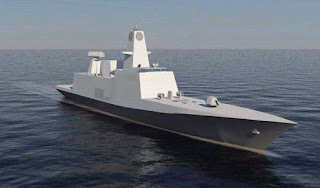 P17A class frigates will be the succeeder of the Shivalik class (P17) frigate of Indian navy.P17a will have improved design in terms of stealth and weapon system.they will have better radar and offensive weapon like Brahmos in vertical launching system and most probably p17a will be equipped with Nirbhay land attack cruise missile.If anti-ship version will be developed of the Nirbhay then these ships may get installed with the Nirbhay.As the first ship will come after 2022 there may be possibility of getting hypersonic version or mini version of Brahmos.they will be equipped with Barak 8 missile which will soon go to the trail in this monsoon on the INS Kolkata.Barak8 has the very good anti-missile capability and also very effective against the airborne already has been installed onboard the ins Kolkata.MFSTAR radar will reduce the number of radars required for the P17A as compared to Shivalik class.MFSTAR operates in S-band and can track aircraft from a distance more than 250 km and guide many missiles simultaneously.It can also track sea-skimming missiles from a distance of 25 km. P17a will have very high automation and thus reducing the number of sailors required only 150 as there were 250 in the case of the Shivalik class.As P17a is upgraded Shivalik class ships many of the features will be the same like 6000 tonnes of displacement,x shaped hull and hanger but will be rail-less. P17a is designed for modular construction and will be made by the modular construction method.modular construction will allow shipyards to build the frigates faster.GSRE and Mazagon dock has been chooses by the navy for construction.GSRE will build three and rest of four will be constructed by Mazagon dock.these shipyards have been given a time period of 24 months to equipped with the modular construction facility.Construction will start in 2017 and all the ships will be delivered by 2025.This project is costing up to 10 billion $.After this project, India will have two shipyards with the capability to build world class frigates.